Ever wondered what happens when an apparently soulless U.S. Embassy worker who denies a visa to a handsome young mariachi ends up having to go on a rom-com adventure with said mariachi? If the answer is yes, then you’re in for a treat! Pulling Strings is actually a very sweet movie and what should be considered a triumph for big screen debut director Pedro Pablo Ibarra. Although the film itself is a pretty predictable by the book rom-com with your normal conflicts and resolutions, the end result is still pretty damn cute. 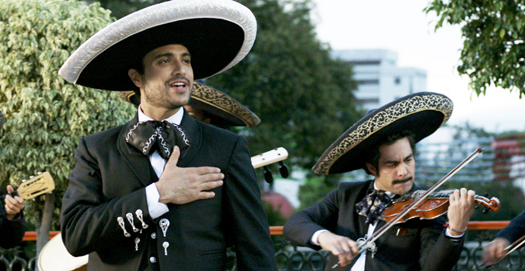 Jaime Camil plays a dreamy mariachi that just wants to give his totally adorable daughter a chance at a better life and is trying to apply for a visa to help send her to the U.S. with her grandparents. Of course, stuck up U.S. Embassy employee Rachel, portrayed by Laura Ramsey, denies it, but then she gets real drunk and loses classified files which our dreamy mariachi helps her retrieve, and hilarity ensues. Honest disclaimer, this film is pretty Mexican. Made in Mexico, by Mexicans, and arguably, for Mexicans. So much of the humor is culture specific and doesn’t completely translate well through subtitled dialogue. Non-Latin audiences will probably miss a lot of the jokes, but anyone well versed in the Spanish language and/or Mexican culture will understand some serious laugh out loud moments. 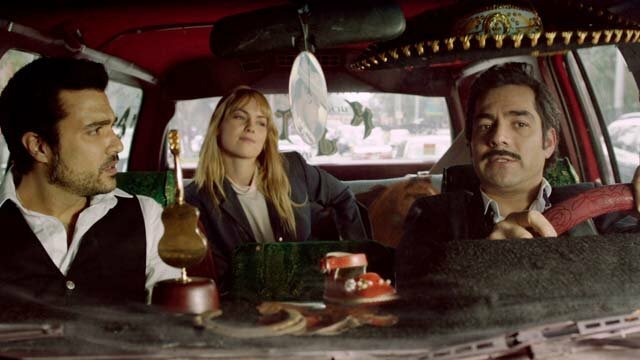 On that note, the real hidden gem here is Omar Chaparro and his portrayal of the plucky mariachi sidekick that has a flair for some crude language and deprecating humor. He really is the key to much of this comedy, and you almost have to be familiar with local dialect to understand how hilarious this guy really is. Finally, this is actually a great homage to Mexico and Mexico City. The film shows the beauty of the city in a way that is usually reserved for New York or Paris and a love for a culture that is often overlooked in the United States. It’s refreshing to see the Mexican culture portrayed without a single mention of cartels and actually focus on the richness of tradition and family. So Latino men, go take your girlfriends to watch this. They’ll have a great time, and even the manliest man will still end up cracking up from time to time. Also, I think the real moral of the story is that Mexican men are irresistible. If need be, I’ll give you a list of old girlfriends that can attest to this. This entry was posted on Friday, October 4th, 2013 at 10:12 am	and is filed under Film, News. You can follow any responses to this entry through the RSS 2.0 feed. You can skip to the end and leave a response. Pinging is currently not allowed. « Kirk Hammett Hits Up Dallas!! !